Yes, I know: two food posts in a row. Whoops. 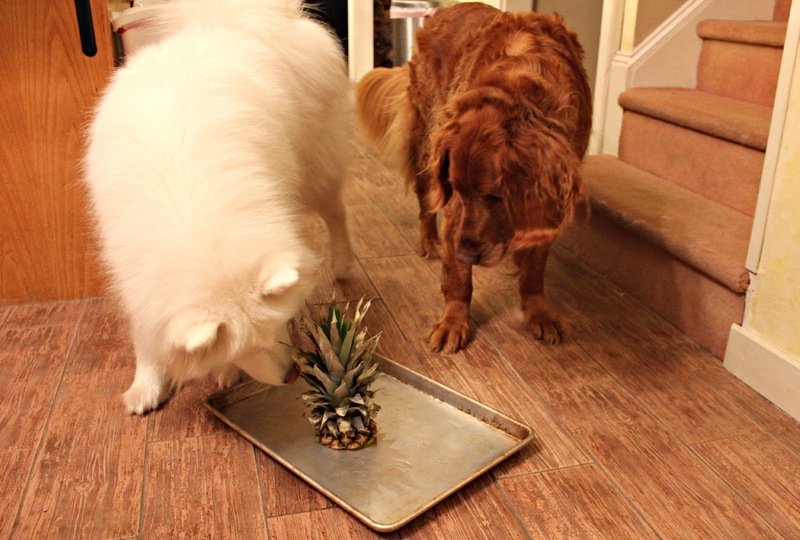 However, it is pineapple season and you may have noticed that there has been a pineapple lurking in the background in many of my kitchen photos. I wanted to use it before it became overripe, and as I happen to be in the possession of a very large sweet tooth, dessert just seemed necessary. 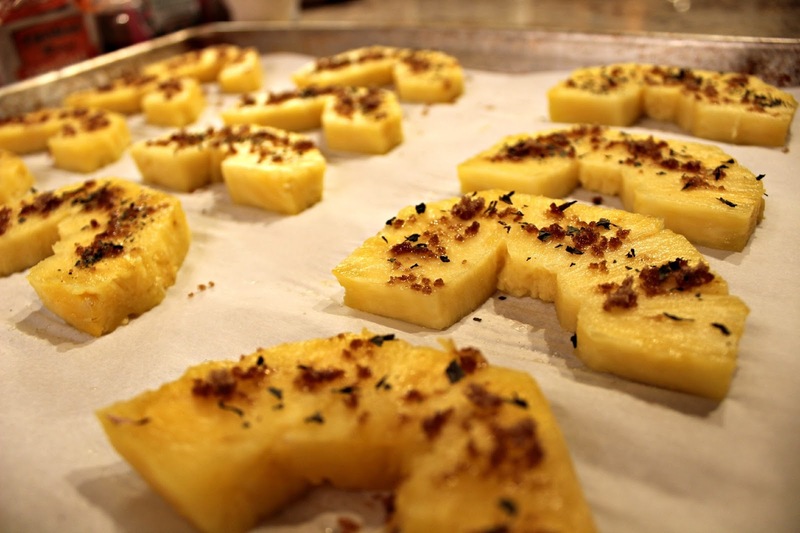 Broiling pineapple is incredibly easy and really only takes a few minutes. To begin, preheat your oven’s broiler, and prep your pineapple. 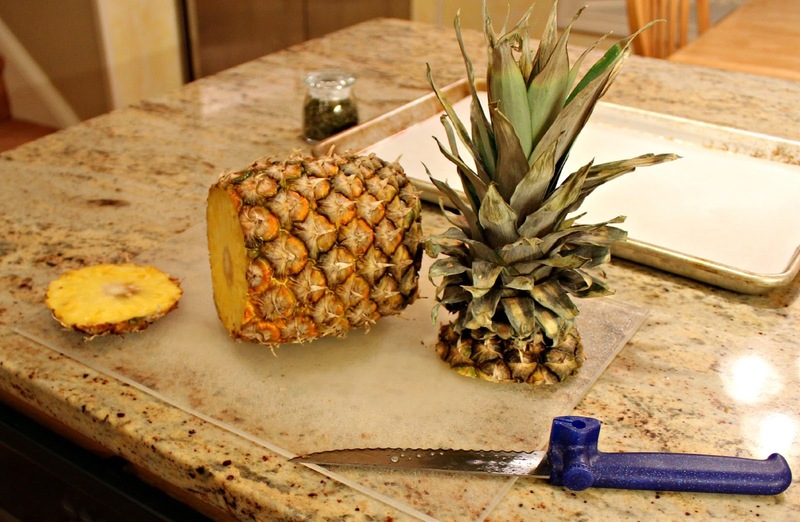 Skinning a pineapple seems a bit daunting at first but if you know this three-step trick- it literally takes ten cuts. 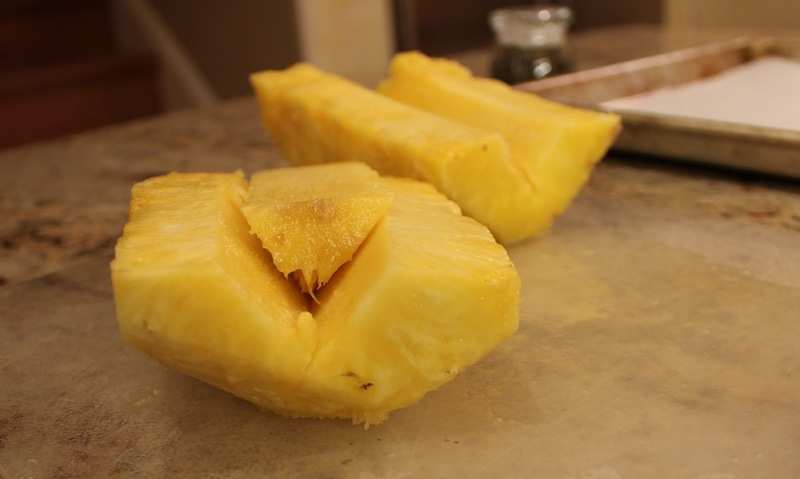 First, cut off the top and bottom, then take four slices out of the sides (making the pineapple appear slightly square) and finally, carve the four remaining strips of rind following the fruit’s natural curve. 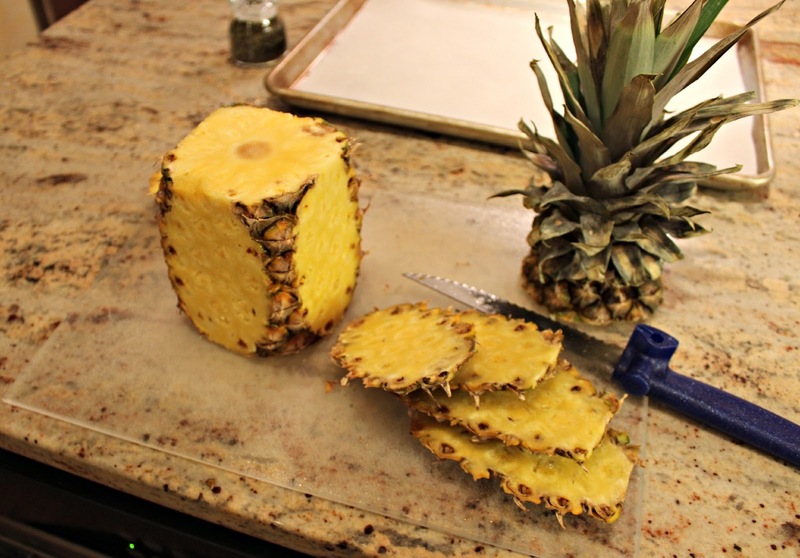 Slice the skinned pineapple in half from top to bottom and remove the core. I find the easiest way to do this (but perhaps not the prettiest) is to slice the core out using two perpendicular cuts. Cut each half into slices of uniform thickness. Try not to eat all of these slices, delicious, I know, but do save room for dessert! After lining a baking sheet with parchment paper, arrange the slices in a single layer. Sprinkle each slice with a few pinches of brown sugar and add a dash of mint. Pop the entire tray into the preheated oven with the rack in its highest position and let cook for about ten minutes or until the pineapple is bubbly and slightly golden brown. 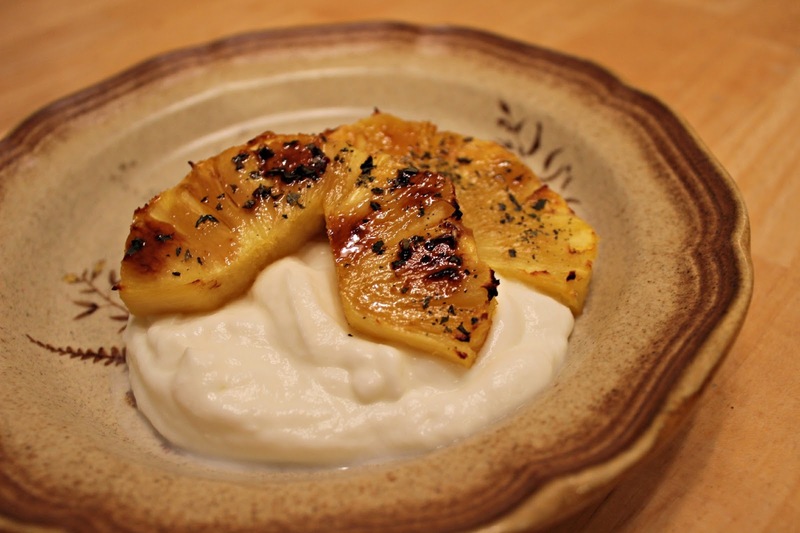 How do you like to take advantage of winter’s pineapple season? This looks and sounds so yummy! What a treat! Um – yum!!! This is a great and easy idea and it sounds like it would taste like dessert, while being healthy! i've never tried and heard of that dish before but it looks heavenly! Thanks so much for visiting and following my blog, it means alot to me! awww dogs are too cute)))))Nice post, thank you for share! Also thank you for dropping by my blog and checking out my post!